Your benefits package isn’t just about your employees-it’s also about their families. Depending on your employee demographics, you may consider adding more family-friendly benefits. 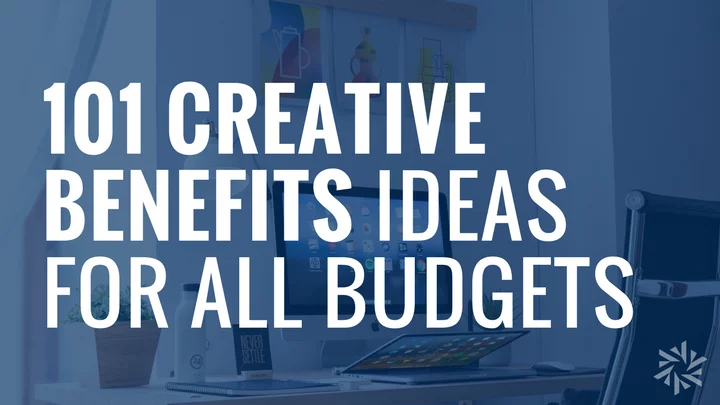 Our top eight recommendations can work for a range of budgets. While your business may not need all of these benefits, if you aren’t offering any – you may need to consider if you are supportive enough to your employees with families. Among the highest benefit cost for families is likely health care. You can help ease the cost by changing your health care cost strategy to include coverage for spouse and dependents. Even a small percentage covered can be a significant tool for recruiting and retention. While this may be a costly benefit to offer, you can help offset by making sure to promote preventive benefits to employees and their families. Also, be sure to involve families in your wellness program initiatives as much as possible. Bump up the attraction of your standard basic life policy by adding a Spouse and Dependent rider. Usually the spouse and dependent receive a set amount that is a smaller amount than the employee’s benefit amount. For example, an employee is eligible for $50,000 Basic Life coverage, and their spouse will get $25,000 and eligible children $5,000. Since Basic Life policies are standard for many employers, adding this type of rider can help stand out to future employees at a relatively low additional cost. As the baby-boomer generation continues to age, it is likely that younger employees will take on caregiver responsibilities. Your flextime and leave policies should address caregiving and benefits you offer. Special consideration may need to be given to offering extended periods of leave when caregiving responsibilities mean employees can no longer create balance with work. Transparency about caregiving can help alleviate stress on employees who feel they may be seen as not committed to their job. Flexible Spending Accounts aren’t just for health care expenses. You can also offer a separate Dependent Care FSA to help employees pay for child care and other eligible expenses with pre-tax dollars. If you offer a contribution towards flexible spending accounts, you could allow employees to choose to divert it to either their Health Care or Dependent Care FSA depending on their needs. Flexibility and customization are key to improving your total rewards package. Dependent Care accounts work differently than health care FSAs, the funds are only available once they have been accrued. Also, the maximum annual contribution is currently $5,000 (or $2,500 if married and filing separately). Be sure to educate employees on the tax implications of Dependent Care accounts, your Austin Benefits team can help with customized materials and group or one-on-one education. The decision to adopt a child is dependent on many factors, and financial obligations often become a significant one. Adopting a child can cost anywhere between almost nothing and more than $40,000. Your company can offer adoption assistance as a voluntary benefit to help employees afford the adoption process. There are three main ways you can provide adoption assistance to your employees. Information Resources: The adoption process can be fraught with complicated rules, processes, and paperwork. Information resources can help your employees navigate the adoption process. This assistance may include access to an adoption specialist who can answer questions or provide special support for more difficult adoption situations. Other resources may include recommendations for licensed adoption agencies, support groups, and organizations. Financial Assistance: Expenses associated with adoption may include public or private agency fees, court costs, legal fees, foreign adoption fees, home study charges, medical costs, temporary foster care charges, transportation and travel costs, pregnancy costs for a birth mother and counseling fees associated with child placement and transition. Financial assistance for adoption could be provided in the form of a single payment—usually between $1,000 and $15,000. Assistance might also be provided through reimbursement for adoption-related fees and expenses which covers a percentage with a predetermined maximum amount. In addition, you could provide benefits per adoption or per child adopted. Expenses may be paid up front as they are incurred or reimbursed after child placement or when adoption is finalized. Consider providing extra financial assistance for the adoption of children with special needs. Flextime and Parental Leave: Consider special flextime allowances for parents who are going through the adoption process. They may need to leave work to attend meetings, legal proceedings, doctor’s appointments, etc. Parental leave allows your employee the time needed to assimilate their newly adopted child into the home and make sure he or she is properly cared for. According to the Family and Medical Leave Act (FMLA), companies with 50 or more employees are required to provide both mothers and fathers up to 12 weeks of unpaid leave for the birth or adoption of a child. You may also consider additional parental leave, or you might provide paid parental leave or a combination of paid and unpaid time off. The World Health Organization and the American Medical Association (AMA) recognized infertility as a disease in 2017. How employers handle fertility benefits varies, given that the trend of offering this type of coverage is relatively new. Cover specific treatments under their health plan. There is no right or wrong way to incorporate infertility programs into your benefit offerings—it depends on your budget and workforce’s needs. Employers can offer 529 plans to help employees save for future college expenses. With a 529 plan, funds are distributed tax-free if it is spent on eligible higher education expenses. Employer-sponsored plans often come with additional benefits versus signing up individually. Employees benefit from the convenience of automatic payroll deductions, employer contributions (if offered), additional financial advising (if available), etc. There may be tuition savings programs available through carriers of traditional benefits you already offer like dental, life, and disability insurance. For example, Guardian offers a free tuition benefit attached to their employer-sponsored dental plans. Don’t forget about the furry members of your employees’ family! You can offer voluntary pet insurance, so employees can benefit from the savings of group coverage. Pet insurance plans are like a human’s health insurance plan, but with more focus on unforeseen medical incidents rather than routine preventive visits. Most pet plans cover dogs and cats, although some may cover other animals, such as chameleons, chinchillas, geckos, gerbils, goats, mice, lizards, hamsters, potbellied pigs, rabbits, rats, snakes, and tortoises. A short employee survey can easily help identify what sort of plan would benefit the most of your team members and their pets. Plans will cover different illnesses and conditions, but most are generally focused on non-routine care and will cover a new illness, disease or injury. Make sure to focus on family-friendly benefits throughout the year with regular communications. You can even target different benefits messages to single employees and those with families to help them get a better value. Want to improve your benefits package, but not sure where to start? Contact the experts at Austin for a free consultation and more ideas about total rewards improvement.